With improved imaging techniques and diagnostics, ulnar sided wrist pain has become a better understood and diagnosed disorder. 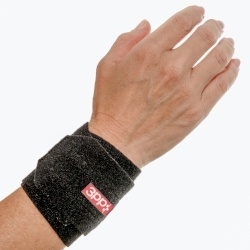 There are several products on the market to assist with decreasing symptoms from ulnar sided wrist pain. The following is information on four splints that are clinically useful for individuals presenting with an ulnar sided wrist pain diagnosis. Due to the complexity of this diagnosis, trying more than one splint may be necessary to achieve optimal support and comfort.